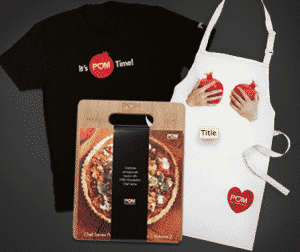 Click here to visit the POM facebook and like them. Then scroll down and click “Enter Now.” Finally just fill out the form to enter their sweepstakes. 100 winners will score a free apron, 25 winners will score a free cutting board/ recipe book, and 50 winners will get a free shirt. Good luck!